Exhibit opening: Friday, April 13, 2018, at 7 pm. The show will run through Sunday, April 29, 2018. Tickets $10. Anatole Kolomayets (1927-2014), is an artist well established in Chicago and within the international community. Kolomayets’s style blends both his Ukrainian heritage and his artistic training in Europe. Anatole Kolomayets was born in Ukraine in 1927. He received his training at St. Luke’s Institute (1948 – 1952) and at the Royal Academy of Fine Arts (1952 – 1953), both in Liege, Belgium. Since coming to the United States in 1953, he resided in Chicago, Illinois. More than four hundred of the artist’s works are in numerous private collections and galleries in Argentina, Australia, Belgium, England, France, the United States, Canada, and Ukraine. The artist has had one-man exhibits in Chicago, Detroit, Cleveland, Washington DC, Philadelphia, Toronto, New York, Los Angeles and Denver. 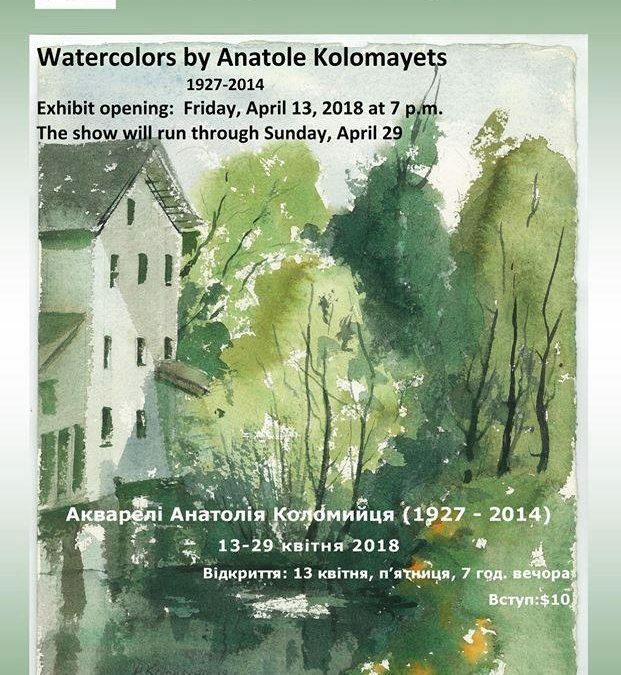 Kolomayets is also one of the co-founders of the Ukrainian Artist’s Group “Monolith” of Chicago in 1954. His works have been reviewed in various magazines and journals, among them “Suchasnist” and “Ukraina”. Named “Honored Artist of Ukraine” in 2007 by President Victor Yushchenko.